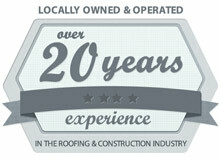 The Northeast Ohio Area’s Trusted Name in Roofing! At Armorguard Roofing our mission has always been to differentiate ourselves from our competitors by providing true excellence in roofing & construction workmanship and customer service. We believe in providing our customers with the best products and services at a fair price and always ensure our team is trained to the highest industry standards. To ensure your home is protected from the elements, it's imperative you hire an experienced roofing company. Whether you need a brand new shingle or metal roof installed or wish to repair a few shingles, we can help. When you hire us, you receive high-quality work, products, and service. We have the ability to service all commercial applications. There are a number of factors to consider when choosing a commercial roof for your business. The size of the structure, the slope of the roof, your budget, and the specific use of the building are all considerations when selecting a commercial roof. Whether you need a barn built for livestock or hay storage, we have you covered. From restoring metal roofs on agricultural buildings to completely replacing them, we here at Armorguard have the experience.